Leaky Gut Syndrome » Blog Archive » 6 Most Common Food Allergies – Are You Avoiding These Foods? Dairy is another one of the most common food allergies. While most people are aware of lactose intolerance, less are aware of the high incidence of milk protein allergies to one or both, casein or whey. Soy protein allergy is another one that is often associated with an underlying wheat allergy. Studies continue to show that there is little to no benefit to soy. 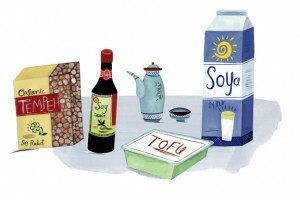 In fact there are many qualities of soy that can lead to health issues. Egg allergy typically affects children more often than adults but is still one of the most common food allergies found. More often than not, this allergy is related more with the protein found in the egg white as opposed to the egg yolk itself. Although unrelated both peanuts (legume) and tree nuts are problematic foods. Peanut allergies are typically much more severe and related to IgE immune reactions. Corn is one of the most common food allergies that is rising rapidly. 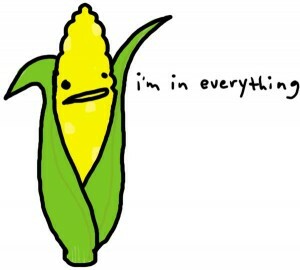 This particular issue is more associated with the fact that corn is found in almost everything you eat. This is because it is a cheap filler used in almost every processed food (including McDonald’s Milkshakes). Even the meat you eat is primarily corn since corn has become the feed of choice for fattening cattle, chickens, and other animals. What To Do About These Most Common Food Allergies? 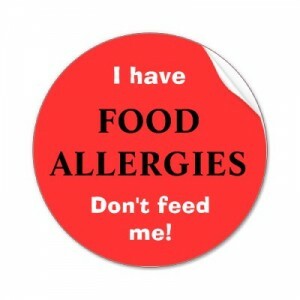 The answer to this question really depends on the source of the food allergy itself. For those reactions that are truly genetic then avoidance is the best way to deal with them. But many of these most common food allergies are the result of or worsened by leaky gut. So healing the gut should be a definite priority. Rotation diets for food allergies can be another very effective way to reduce or eliminate food allergies and are becoming much more common these days. But regardless, when immune reactions occur due to food allergies, inflammation occurs which results in damage to both the gut lining and commonly in other areas of the body. This is one of the main mechanisms that perpetuates the leaky gut process. This is why the Leaky Gut Cure is designed specifically to determine whether or not you suffer from any of these most common food allergies as well as any other foods while effectively reducing or eliminating your immune reactions to them. I would just like to share that I have been following Karen Brimeyer’s Leaky Gut Cure program and so far am getting good results ESPECIALLY with regards to my allergies and immune issues. Since I have mostly eliminated grains, gluten, dairy and processed sugars, I have not had any seasonal allergy issues which had been a HUGE problem for me in Arizona where we have two allergy seasons. I also have not come down with the flu the past 3 months while it has been spreading around the office. I am sharing my story with people who are interested in improving their health. Many people have the reaction “Oh my gosh, I didn’t know what you eat could contribute to allergies.” Well, I didn’t either!! I still have some good quality brown/wild rice from time to time. I fix my own nut bars and gluten-free muffins and don’t feel deprived. I drink almond milk and coconut kefir. I do a good quality (Isagenix) protein shake for breakfast. I like Karen’s program in that she isn’t as extreme as some diets like the Paleo Diet. The Leaky Gut Cure diet basically follows the Paleo Diet at first but I like Karen’s approach with the 80/20 rule for maintenance -80% of the time follow the diet and you’ll be okay. I have been following that approach and plah to continue – I am getting my health and energy back and am so happy to be able to enjoy living in Arizona again!! Interesting study on allergies. great post! keep sharing the information with us! Thank you so much Karen for all your helpful hints & on-going support. Much appreciated – makes me feel not so alone in all this! If the gut is leaky, will nutrients from fish oil and supplements and food still be absorbed? My son has been taking a lot of fish oil and supplements (good quality prescribed by a specialist) for the past 3 months. I am not sure that he is benefiting from these. If it is not being absorbed, how will the gut really be healed? When leaky gut is present there’s typically some significant damage to the intestinal lining so nutrient absorption is effected by this. But keep in mind that fish oil might not be all that he needs. I have severe food allergies and rarely do I see corn listed as a “common allergen.” From what source did you find corn listed as a common allergen or is this based off of the observation of your clients? I honestly believe corn is a very common allergen but is usually ignored or misdiagnosed. Corn is America’s cash crop. It is in everything and used everywhere, including the medical field. Corn is a filler in most painkillers, C-vitamins and also (together with soy) inomega 3, CoQ10 supplements and many more. It is very difficlt for me to find supplements that I can use. I have leaky gut, and I’ve had problems with digestion all my life. 10 months ago I had an IgG test telling me I have intolerances to wheat, barley, rye, spelt, oats, egg whites, potato starch and Brazil nuts. After 10 months on the Paleo diet I still wasn’t better from reflux and stomach problems (pain, bloating, constipation, diahrrea). A stool sample two months ago showed I had bacteria and yeast overgrowth. Took antibiotics and some tablets for the yeast as well as digestion enzymes, but still couldn’t heal. Then I tried to add HCL and then I started to digest better. (no reflux). But still I have a little constipation and diahrrea. And I get stomach pains whenever I try to eat fruit and fiber supplements. Could this mean that Im still suffering from leaky gut and still have bacteria/yeast?? I have read somewhere that fiber and fructose on a inflamed gut would be like a bad idea. Would it be an idea to take another IgG test to check whether there are additional intolerances? After 11 months I am sp tired of having problems….. I am taking probiotica every day. Any suggestions what to do? This is Day 54 for me on the Leaky Gut Diet. My problems began five years ago when I was overprepped for a colonoscopy and my body did not reset. I have tried so many diets and so many expensive prescription medications and OTCs and nothing worked. I have yet to encounter a gastroenterologist who knows one thing about nutrition. They side step any questions about nutrition. My gynecologist led me to the Leaky Gut Diet as she had just attended a four day seminar on “The Gut, Second Brain in the Body.”. I am so much better and now believe I can go forward and lead a normal life. Thanks, Karen, for all your help to so many of us who have been failed by the medical profession.